European Union officials announced today that, starting in 2020, any research that owes its existence in some way to public funding must be freely accessible and reusable. Recommendations were also made to encourage investment and ease the passage of startup founders between various European states. Research and innovation generate economic growth and more jobs and provide solutions to societal challenges, and that means a stronger Europe. To achieve that, Europe must be as attractive as possible for researchers and start-ups to locate here and for companies to invest. That calls for knowledge to be freely shared. The time for talking about open access is now past. With these agreements, we are going to achieve it in practice. Exactly what the method will be for enforcing this decree will depend on a number of things, and other details remain to be defined — for example, what publications exactly will qualify as being “the results of publicly funded research.” Loopholes allowing exceptions to the rule based on intellectual property, security or privacy concerns will also need to be formalized. That aside, this could still be a powerful precedent, and a timely one too: access to scientific journals is such a problem even for qualified academics that millions are turning to paper piracy sites like Sci-Hub. Much EU-funded work under major research frameworks is already required to be open access. However, it can be costly for a researcher to make a paper free to access that would otherwise be paywalled at a major journal like Science or Nature; the cost of doing so could potentially be included in the grant, but how this will be handled at scale remains to be seen. TechCrunch has contacted the Netherlands Ministry of Education, Culture and Science for details on this and other questions. In addition to the open access requirement, the Competitiveness Council also made suggestions less binding regarding best practices for accommodating foreign businesses and investments. Member states are evaluating a “European start-up visa” that would simplify the application process when establishing a business that spans multiple countries. 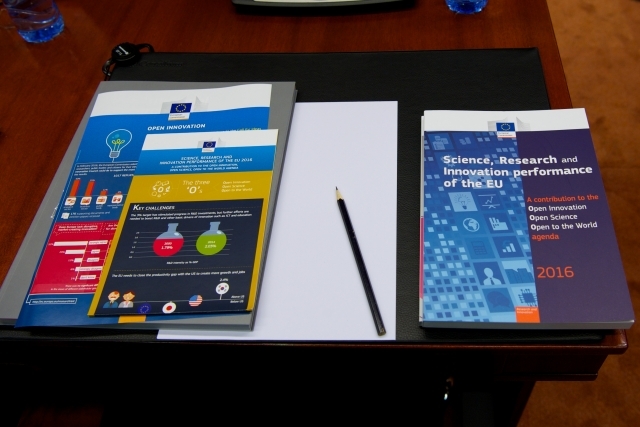 “With these agreements, my colleagues are showing that we all agree that sharing knowledge and data, making legislation future-proof and investing in excellent research are indispensable to ensuring a strong Europe in the future,” concluded Dekker.